This week marks 46 years since the landmark case Roe v. Wade legalized abortion in the United States. When President Ronald Reagan established Sanctity of Life Sunday in 1984, it was with the intent to recognize the human dignity of unborn children. All these years later, it’s no longer only the unborn whose sanctity of life is questioned… it’s the elderly, those with catastrophic disabilities, people with psychiatric disorders, and more. There are even Christians who are questioning how and to what extent life is sacred. More than 38% of Evangelicals feel it is morally permissible for a doctor to extend legalized euthanasia. What can we do to turn the tide? 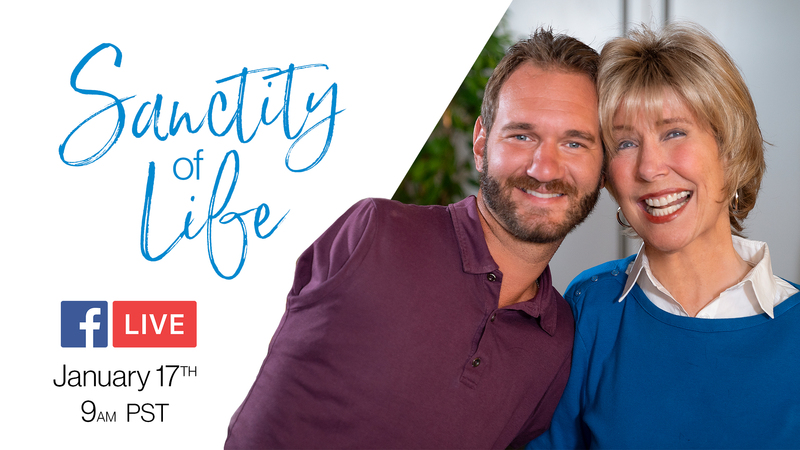 I’ll be joined by my friend Nick Vujicic this Thursday on Facebook Live to discuss just this topic. We’ll begin live streaming at 9am PST. Mark your calendar and join in the conversation!